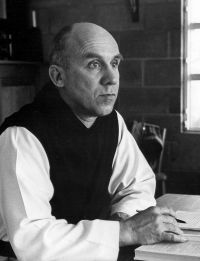 WASHINGTON (CNS) — Morgan Atkinson’s new documentary on Thomas Merton, the famed Trappist monk from the Cistercian abbey in Gethsemani, Kentucky, was “40 years in the making,” he joked. Actually, it was closer to two, but it was Atkinson’s own pilgrimage to Gethsemani 40 years ago that not only broadened his exposure to Merton, but led him to become a Catholic himself. Atkinson long had dreams of being a Hollywood filmmaker. Living in his native Louisville, Kentucky, though, wasn’t going to cut it. “If I want to make films, I should go to Los Angeles,” he recalls thinking. “After a year, I was not exactly tearing things up.” So he headed back home. Atkinson also has been able to make a living as a filmmaker, including two prior documentaries that have received national airings on PBS. He is hopeful the new documentary, “The Many Storeys and Last Days of Thomas Merton,” will likewise get a PBS time slot sometime this year, the centennial of the monk’s birth. Lacking that, Atkinson said, there is a PBS secondary channel that transmits programming to affiliates. “But instead of getting a uniform showing on Thursday, Sept. 15, at 9 o’clock all over the country, they (affiliates) sort of plug it in wherever they want to,” he added. He wanted to time his work on the documentary — while paying the bills with other film work — so that it would be ready for viewing in time for the centennial. “From my first two films on Merton, you develop a network. You know where the scholars are and where to access them,” he said. It’s that network that Atkinson is working to get the film to more people, regardless of PBS’ ultimate decision. “I have friends and associates across the country who will host showings, not only in this country, but in other parts of the world. In two weeks I’m going to Xavier (University) in Cincinnati and doing a showing there,” he said. “I’ve been talking to a friend in Pepperdine (University) in Malibu (California) and doing a showing there in September. Atkinson was able to combine historical footage of Merton with new interviews from celebrated figures whose lives Merton touched. Such was the case with popular speaker Franciscan Father Richard Rohr, but even more so with the Dalai Lama, whom Merton met during his Asia trip. Atkinson was able to interview each of them last year. “The ability to interview the Dalai Lama” was cited by Atkinson as nearly reason enough to make the new documentary. “That became the real centerpiece of the film in many ways.